PORT RICHMOND, Staten Island (WABC) -- One person was killed and 9 others injured in an early-morning third-alarm house fire on Staten Island. 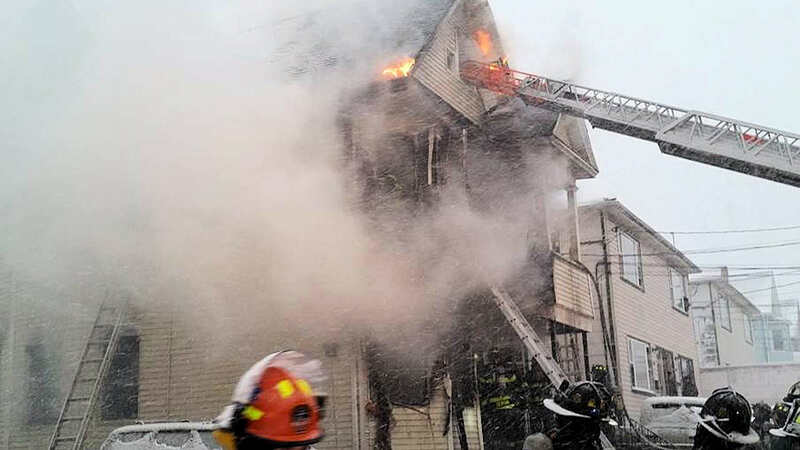 Firefighters battled flames and frigid, snowy conditions at the site of the blaze on Post Avenue in Port Richmond. The fire began around 7 a.m., and arriving units were confronted with a heavy fire conditions on the first floor of the 2 1/2 story multi-family dwelling. The flames spread throughout the building, and one person was pronounced at the scene. Six other civilians were hurt, including the deceased victim's brother, who is in critical condition. Another is listed in serious condition with non-life threatening injuries. A firefighter and an EMS worker also were treated for minor injuries.